5 year warranty now standard on BRG Intelligent LCD models. When the weather heats up, so does the demand for electricity. Between high temperatures and heavy loads on the grid, utility power can flicker, falter, and fail. 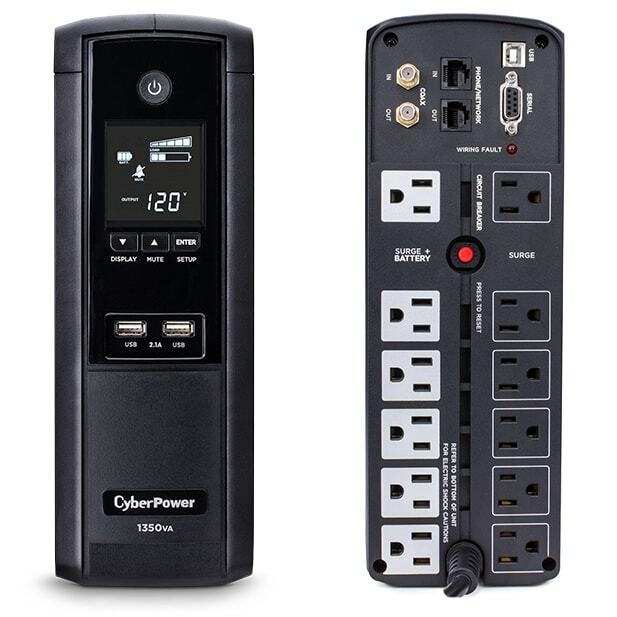 Keep your devices running with award-winning power protection from CyberPower. 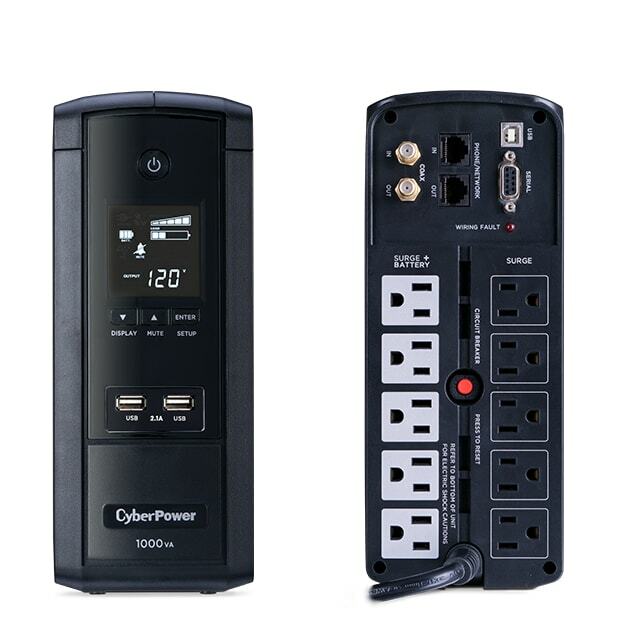 BRG Intelligent LCD Series UPS from CyberPower use line interactive topology and offer guaranteed power protection for desktop computers, workstations, routers, modems, gaming consoles, and home theater equipment. These UPS systems provide simulated sine wave battery backup power during outages, and offer surge protection against over-voltages and power spikes. Features include an LCD status panel, energy-saving GreenPower UPS Technology, data line protection, and Automatic Voltage Regulation (AVR).